- Sizes: 9 mm, 12 mm, 19 mm, 25 mm. Owing to our vast industry experience and expertise, we have been able to offer a wide range of Stainless Steel Curtain Rods. 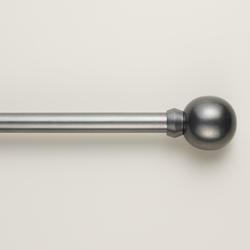 Available in different specifications, these curtain rods can be customized as per the demands.